Listed on the National Register of Historic Places, the Carnegie Library was built in 1904 with the help of a $10,000 grant from Andrew Carnegie. 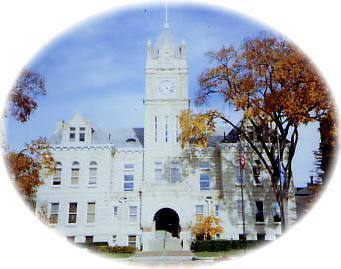 The building is located just to the west of the Courthouse and now houses the county attorney's office. The pioneer museum was built in 1915 as a home and displays agricultural tool exhibits. The Wolf Butterfield House served as a way station for the Butterfield Stage Line started by David Butterfield in 1865. The limestone house contained dining and sleeping faciltities as well as a tavern for stage line patrons.